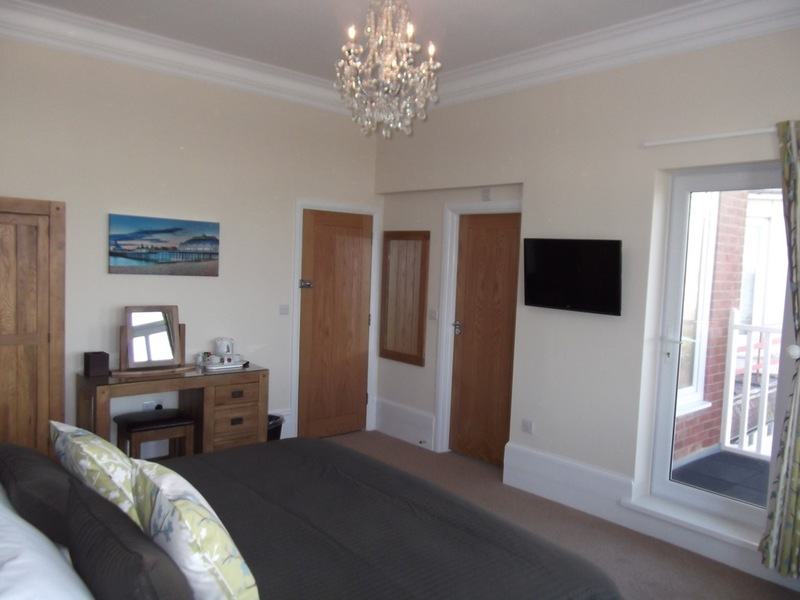 This grand room is situated at the front of the house and has fantastic uninterrupted views out to sea, through its tall bay windows. 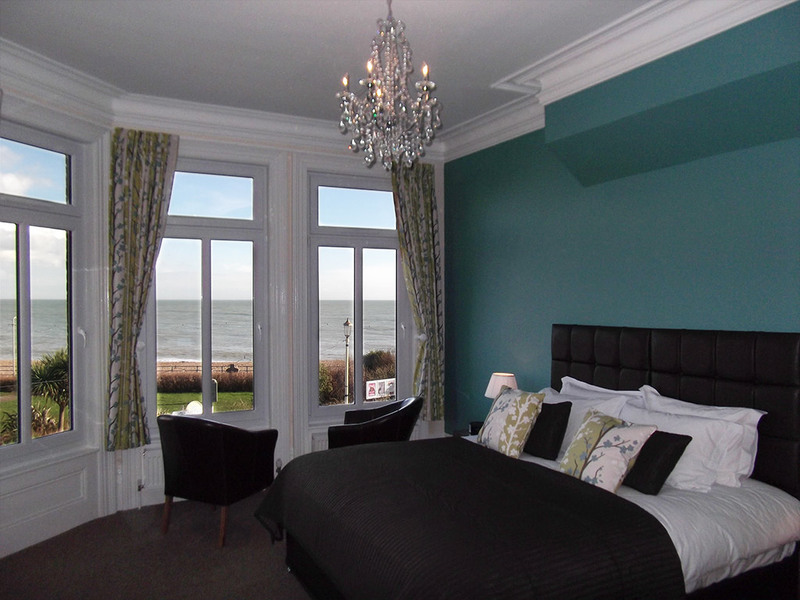 Our largest bedroom within the house also has a private balcony with rattan chairs and table (Summer months). 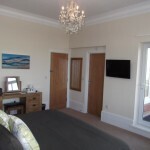 A beautiful chandelier and original high ceilings, cornicing and skirting’s. 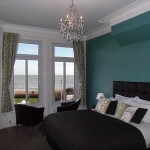 This room can provide guests with either a super king or twin beds. 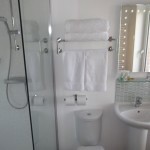 Full en-suite shower room, illuminated LED mirror with shaver point. LED Freeview Smart HDTV incorporating catch up TV (BBC i-player) and internet access, Dab radio/alarm iPod dock and free Wi-Fi. 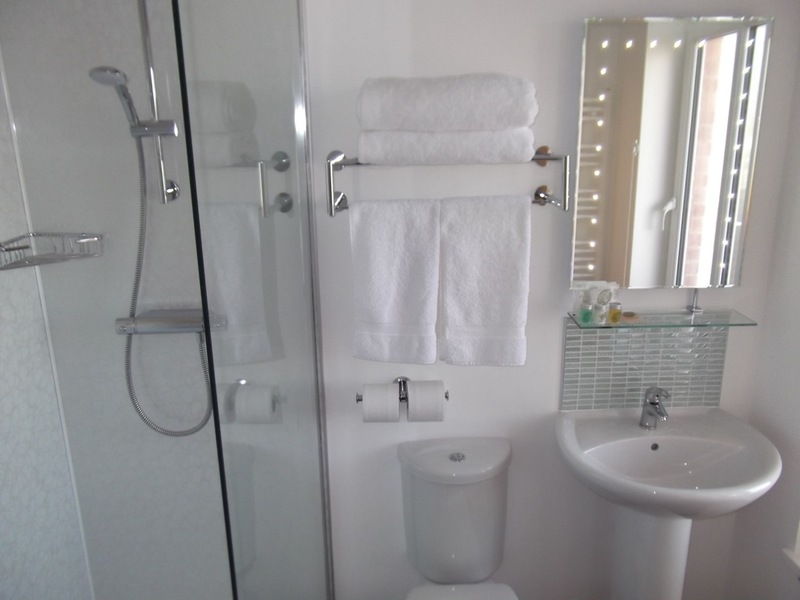 Complimentary toiletries, bottled water and hospitality tray are also available for your convenience. Contact Us today for the best available rates! 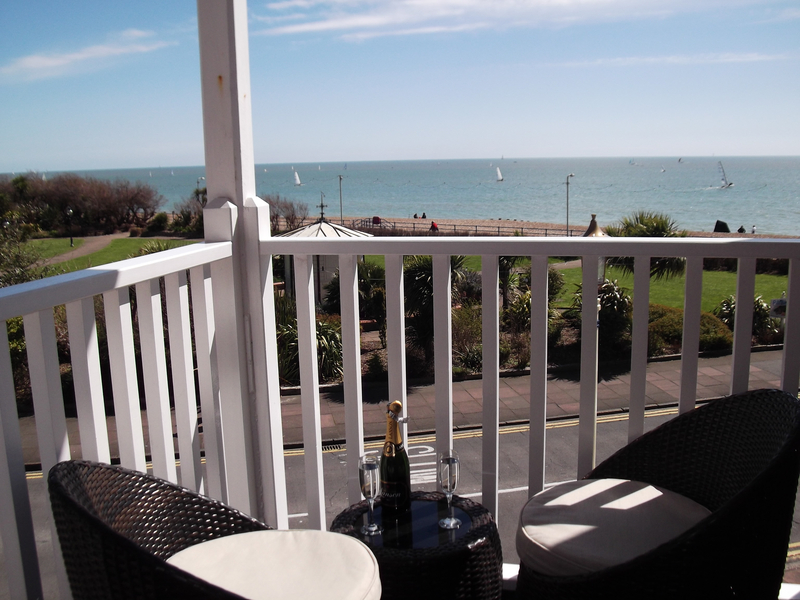 Pebble Beach Bed and Breakfast is situated opposite Eastbourne promenade, so commands superb sea views over the Pavilion Tea Gardens out to sea. 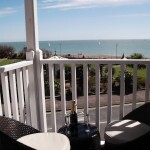 Being positioned opposite Eastbourne promenade offers you the perfect opportunity for a stroll along the seafront.